Faith communities often have instrumental music, singing or sung prayers at gatherings—music that is heard by all who participate in the community or sung together by community members. An underlying principle in Cymatics is that a community that engages with sound: music, singing, or drumming together, comes together on a cellular level. The resonance or the way their bodies vibrate in a similar way is unique to that community, to the music and songs they use. From the field of Cymatics also comes the idea that sound waves of different frequencies affect matter in particular ways. Cymatics is the study of the patterns made by certain sound frequencies or waves and was pioneered by Dr. Hans Jenny. Jenny used metal plates with sand on them along with sound waves to create patterns in the sand. Each unique sound created a different, often beautiful pattern. That sound vibrates matter, our ear drums, our skulls, and our bodies is clearly researched. The study of the affect of the vibrations brings the idea that people who listen to the same music or sing the same songs in community are vibrated in a similar way. A couple of years ago, I co-edited a book with Spokane Rabbi Elizabeth Goldstein, entitled, “Music, Carrier of Intention in 49 Jewish Prayers.” In this anthology we solicited essays from Jewish musicians, cantors, and singers on what role a particular sung prayer had in their life and community. We asked about their intention when they sang a prayer in community? How did their intention and the intention of the community affect the experience? One of the most interesting things I learned from this project was about learning and comprehension styles. I am primarily a visual learner. I would rather have someone email me information or send me an article or book to read than talk on the phone. What I found was that many of the participants in this project wrote beautifully but if they had questions or concerns about the project they would rather get on the phone with me to talk about it rather than email me their questions. This experience got me thinking not only about the vibrational affect of the music in faith traditions but also about the impact of learning styles in faith based experiences. Do we, in our faith communities, offer visual material (books, articles, flyers) and audio material (singing, music, radio) so that people can connect to the community through either channel? Can people with different learning styles connect well in your community? A look at YouTube shows many music related videos that carry a religious outlook. 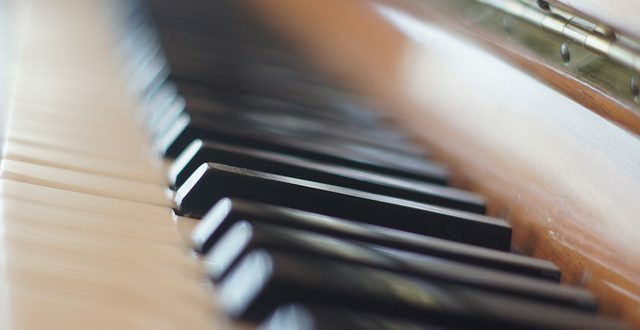 Music can also be therapeutic and with so much talk about brain health it can be interesting to think about the impact of music and singing as part of a faith tradition on the brains of community members. In other words, physical movements associated with the production and hearing of music supports brain healing. In the article they are talking about playing an instrument as the physical movement but could there also be associations between standing, sitting, kneeling, swaying, dancing, or singing to music that create a similar stimulation of brain activity? Consider the impact of faith based musical traditions in your own life. Who are you vibrating with? Join SpokaneFAVS for a Coffee Talk forum on “Faith and Music” at 10 a.m., May at The Community Building, 35 W. Main Ave. Burnham is a panelist.